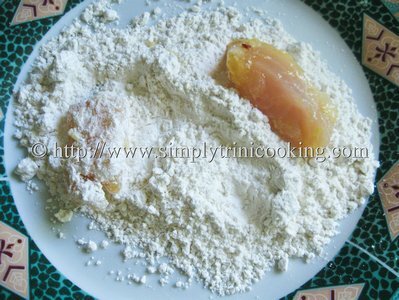 Today I am sharing my simple recipe for sweet and sour fish fillet, a popular Chinese restaurant favorite here in Trinidad and Tobago. Possibly, any restaurant you visit here will have it on their menu. 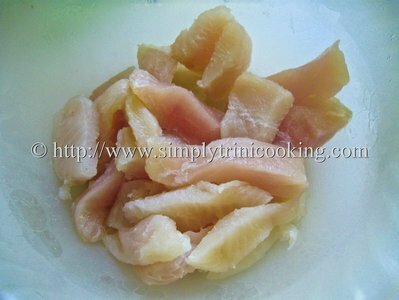 Sweet and sour fish has a slight tart taste with a touch of sweetness and a bit of a crunch when you eat it….To me it’s a piece of heaven in my mouth….. I can see it now…Yin and Yang are in harmony with the flavours all at peace with each other in your mouth. With every self gratifying piece of sweet and sour fish all you worries fade away in the restaurant…..It fades into the background even more as you look at the aquarium filled with beautiful and exotic fish in front of you…What a meal!! 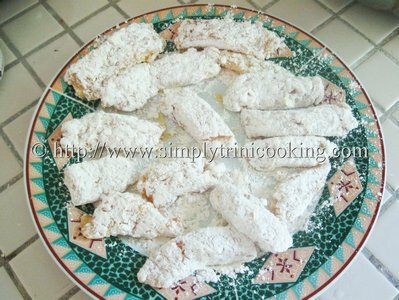 As you would notice, this recipe is really easy and quick to make once you learn the steps. Hmmmm! Makes me wonder why is this dish is so expensive at the Chinese restaurants? Maybe it’s the serene ambience in which you enjoy the meal …..Anyhow, without further ado here’s Sweet and Sour Fish. 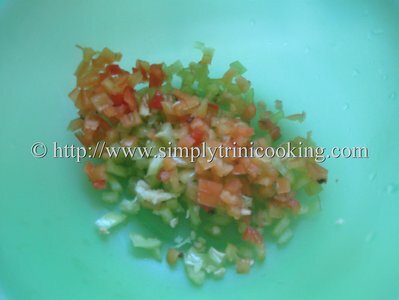 Chop the ginger, garlic, salt, and pepper finely and …. 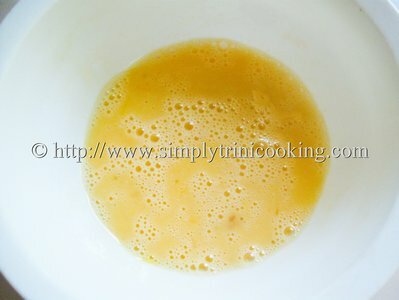 Dip the fish into egg to coat then roll into the flour mixture (the flour and cornstarch). 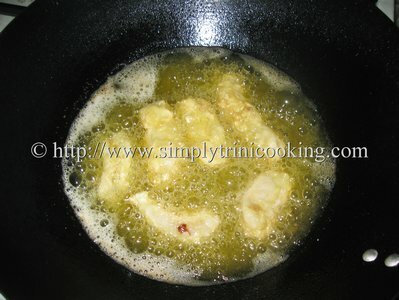 Bring oil to boil and deep fry fish until golden brown. 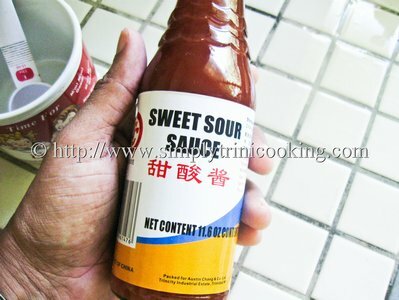 This is the brand of sweet and sour sauce I used for this recipe. 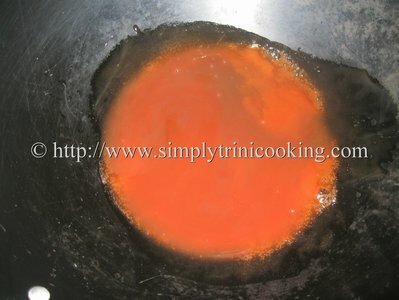 Heat a clean wok over a medium flame and add the sweet and sour sauce and ketchup. Stir. 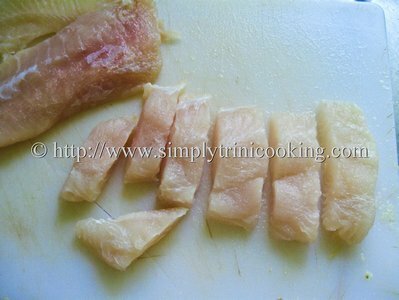 Place fish onto serving platter. 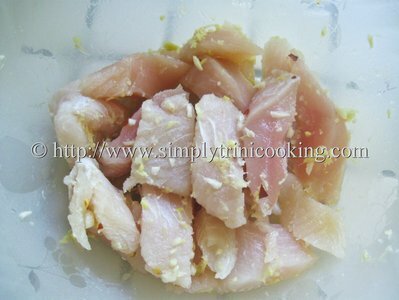 Pour sauce over fish, garnish with chopped chive and serve. Well that was very easy, wasn’t it? 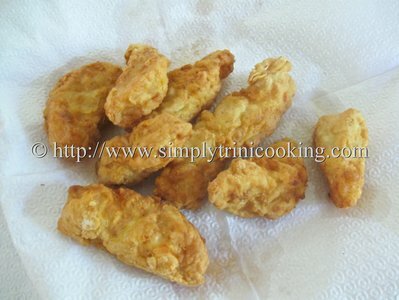 This is certainly one of the most rewarding dishes to know how to cook at home. Plus it will save you a lot of money. 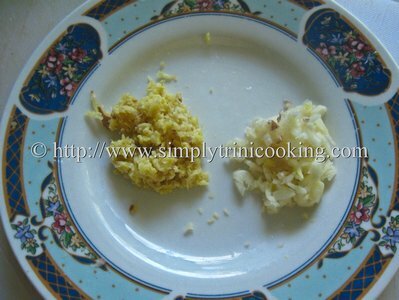 This dish costs about TTD $35.00 – $45.00 a portion at the restaurant, so learn it well lol!! Oh!! 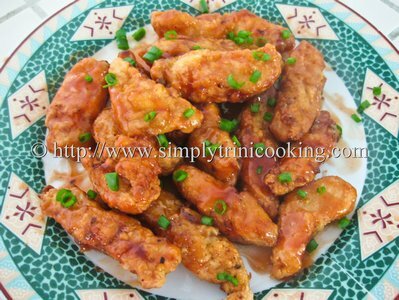 and before I go another thought has come to mind… You can complete this recipe with fried rice, stir fry vegetables, chicken lo mein, or vegetable chow mein with a side of shrimp wantons and have a real feast lol!! That’s it for this recipe. More recipes around the corner to come. 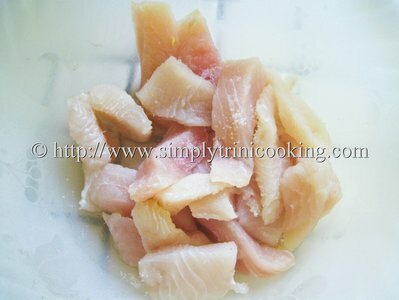 Don’t forget to leave your comment about this sweet and sour fish fillet in the comment box below.